M.E.C. 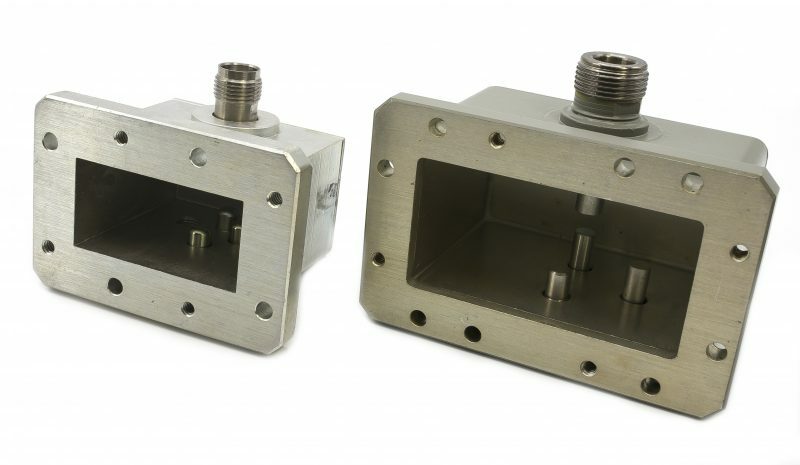 offers a wide range of adapters for specialized applications requiring non-standard rectangular waveguide and/or frequency bands. By using broadband matching techniques, these adapters allow for the transmission of power in either direction while minimizing reflection. 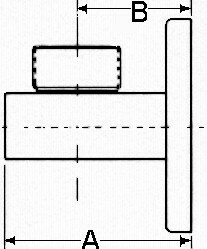 High power adapters are available up to the power rating of the connector requested. 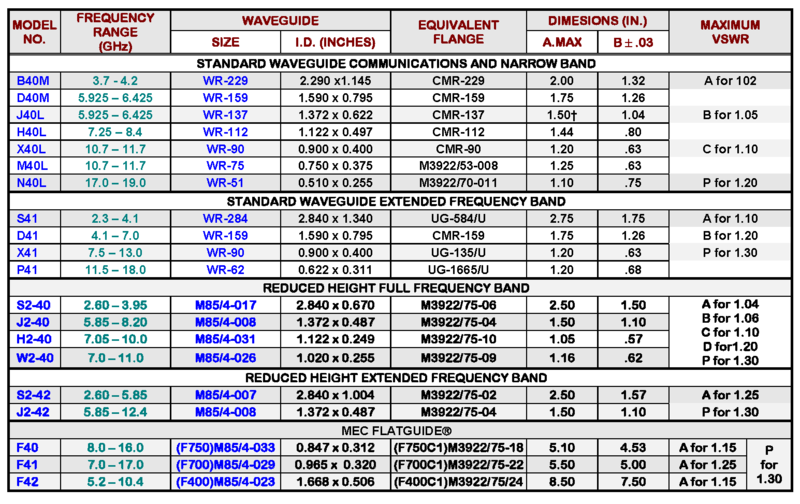 Requirements for other bands, waveguide heights and in-line adapters can also be satisfied. Assemblies are furnished with an aluminum housing and are chromate conversion finished per MIL-C-5541, Class 3 and painted with gray epoxy enamel on external, non-mating surfaces.